After submachine guns were discovered to be effective in trench warfare during WWI, there was great interest and considerable experimentation by the Germans in converting pistols to continuous-fire, fully automatic weapons. 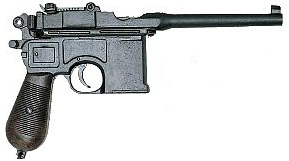 The Mauser C-96 adapted well and many of them were converted to full automatic fire. However since the American National Firearms act of 1934 made it illegal to import "automatic weapons", this innovation precluded the C-96 from being imported into the United States, and therefore, very few of them still exist and are available for collectors to buy in the US today, which makes this authentic replica all the more attractive, since scarcity has driven the price of real C96s to astronomical heights! Because relatively few C96s were made compared to most well-known pistol models, they bring a premium on the collector market, and this unique weapon is a great addition to any collection of Twentieth Century, WWI or WWII weapons! Fortunately, you can own our authentic, non-firing replica with the heft and feel of the real thing--without the hefty price tag of an original. HISTORY: First developed in 1896, the C/96 broomhandle saw action in both World Wars. The long barrel, square magazine (located in front of the trigger) and broom-handle-shaped grip gave the C-96 its distinctive appearance and nickname. Thanks to its distinctive size and shape, it has appeared as a "foreign" or "exotic" pistol in numerous TV shows and movies. You can see it in action in the Clint Eastwood western move, "Joe Kidd". 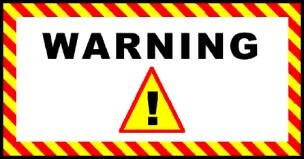 Its most famous movie appearance, though, was in the guise of a futuristic space weapon. 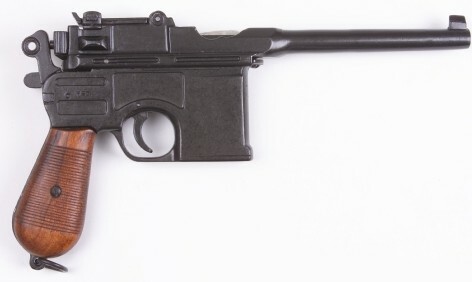 The Mauser C-96 was the model for Han Solo's "blaster" in the original trilogy of "Star Wars" movies. The rare C/96 brings a premium on the collector's market! You can own this authentic replica for a tiny fraction of the price for an original! To order choose grip style from the drop-down list, then click "add to cart." NEW! We now offer a model with the wood stock that doubles as a holster/box. See the Mauser with stock.